Joshua Landis, who lived in Lebanon during the civil war years, wonders if that is Syria's future, divided by checkpoints and militias in "Will Syria Remain Fragmented for Years?" Geoffrey Aronson at Foreign Policy argues that "Washington's Seamless Transition in Syria is an Illusion — and Bad Policy." Eliot Higgins, "Syria's DIY Revolt," also at Foreign Policy, on the question of how the opposition is arming itself. Reuters "Secret Turkish Nerve Center Leads Aid to Syria Rebels" reporting on a secret Turkish base operated with Saudi Arabia and Qatar near the Syrian border. 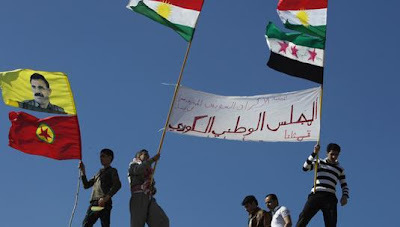 I already posted about how Syria's Kurds are going their own way; David Pollock at WINEP discusses how "Syria's Kurds Unite Against Assad, but Not With Opposition." Or maybe not: Egypt is denying the multiple Israeli press reports. But Shimon Peres' Facebook page posted it. Mahmoud Salem on Egypt's "Mirage State"
Mahmoud Salem, who blogs as "Sandmonkey," has a piece in The Daily News Egypt on "The Mirage State of Egypt." A mirage state is a country where things have the appearance of something real, but don’t actually exist or function in the same way to the real thing it mimics. It’s not a complete mirage, because a lot of it is tangible, but in reality, it’s just an apparition of what it should be. It’s like a case of collective delusion where we insist that oranges are actually apples, and get really mad if anyone questions that notion to be factually true. Unfortunately, this holds true to everything about our lives here. Technically we believe Egypt to be a functioning state: it has institutions, democracy, elections, laws, economy, judiciary, police, a military, parties, political activists, a prime minister and a president. Unfortunately, while it seems like we have all the trappings of a country and a state; it’s more like an optical illusion. None of it is the real thing. 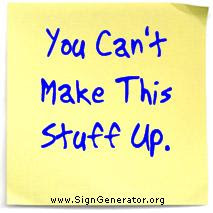 We have institutions that have employees and budgets and paper work, but almost nonexistent output; we have a democracy, but that is only in so far as we have elections; we have elections where the voters vote for the symbol but have no clue who they are voting for or what the candidate’s policies or history is; we have laws that don’t get enforced unless there is a political will behind it; a judiciary that are above reproach or accountability despite their inefficiency and corruption; hundreds of thousands of police officers and soldiers with uniforms but no security; a military with a huge budget and millions of soldiers and guns but can’t protect our borders; parties that compete in elections without having actual real policies, politicians or institutional structure; political activists who propose textbook solutions that would never work realistically; an economy that operates completely separately from government policies, the current state of the country and the international economy; a prime minister whose qualifications for being the most important prime minister in the history of Egypt is having a beard, and a president who we see in pictures, but don’t actually see doing anything. The Mirage State. It's worth reading all of it. One of the big pre-Olympics stories was the fact that for the first time Saudi women would be competing in London, but the breakthrough is seeming somewhat reduced in importance as they face sharp criticism at home and one of the two is faced with a decision over withdrawal if she insists on competing in a hijab. Though the Kingdom has sought to benefit from its first dispatch of female athletes to an Olympiad, conservative clerics at home have been sharply critical. A Twitter hashtag translated as "Saudi women in the Olympiad do not represent us" has drawn sharp commentary and another hashtag has characterized them as "whores," despite their insistence on wearing conservative clothing. The Egyptian blogger Zeinobia has had some choice words on that topic. Now, however, the fact that one of the athletes (there are only two), who competes in judo, has been told she may not compete with a head covering, means she may very well be compelled to withdraw. The Kingdom has taken some pride in its first female Olympians, but agreed to send them reluctantly after the International Olympic Committee threatened to bar the Kingdom altogether if women were banned. Muhammad Morsi has been in office a month today. He finally has a Prime Minister, but that Prime Minister still doesn't have a Cabinet. There was a false alarm when, last week, Prime Minister Qandil announced that the Cabinet would be announced on Saturday. Then, on Friday, he announced that, no, actually, it turned out he needed more time. The assumption is that negotiations with various candidates and parties, and perhaps struggles with the Muslim Brotherhood's Guidance Council and/or the military, are delaying things. Now they say that the new Cabinet will be named on this coming Thursday, or at any rate sometime this week. Well, maybe, but we've had promises before. It's now supposedly "70% complete." They're also promising Presidential appointments (perhaps the Vice Presidents) on Thursday. 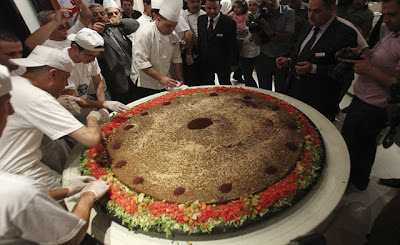 A couple of years back, before the wave of Arab revolutions distracted people, we had a string of articles about competitions to make the world's largest plate of hummus (See here and here and here), with one of those articles also dealing with the world's largest plate of tabbouleh. Well, apparently the food fights are on again. Jordan has weighed in (literally) with the world's largest falafel, at 74.75 kilograms. The previous holder, according to the Guinness book, was only 23.94 kilograms and was prepared in California. The hummus battles were usually between Lebanon and Israel, and were preferable to the more explosive sort of battles, but the idea of a giant falafel is somehow more daunting, I'm not entirely sure why. 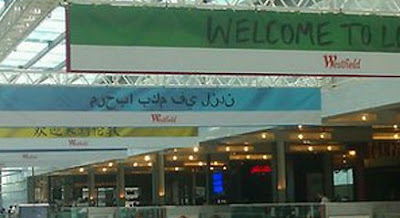 It's the opening day of the London Olympics, and while I plan to avoid any Mitt Romney-esque gaffes, I should note that one of the blunders reported so far has an Arabic aspect: the official shopping center (no, really) of the Olympic Games, the Westfield Center, put up banners in Arabic script welcoming people to London, and quickly took them down again. I say "in Arabic script" because no one could recognize it as the Arabic language. If you read Arabic, look closely at the above. It doesn't rise to the level of showing the South Korean flag while introducing North Korean athletes, which miffed the North Koreans (who tend to be very miffable) no end. But it does raise the question, doesn't anybody proofread this stuff before it goes up? It's not as if there are no Arabic speakers in London. And somebody bothered to get the phrase translated (correctly) but didn't know Arabic goes from right to left? On that note, let the games begin. And let us all ponder this question: in Ancient Greece, did the Olympic Games have an official shopping center? 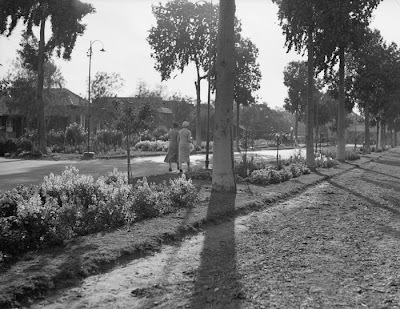 For nostalgic Cairo hands: a website with a series of photos of Cairo's Gezira Sporting Club in 1935: originally the elite club of the British officer class, still the retreat of the Egyptian elite. Forty years ago in 1972, when rents were much lower, I lived across the street from the Gezira Club during my first stay in Cairo. It also makes me feel extremely old to realize that these pictures of the Club in 1935 are actually slightly closer in time to that 1972 stay than that 1972 stay is to the present. Ouch. The Citadel of Aleppo stands on a hill dominating the old town in the midst of Syria's great northern city. The place has been occupied for millennia; the city is mentioned as early as the third millennium BC, and an ancient temple was early transformed into a fortification. The Crusaders never succeeded in taking it, but the Mongols did, and Tamerlane as well; the last razed the Citadel. Like most Middle Eastern tells, the citadel hill is a palimpsest, but because the city is built over it, archaeologists have never been able to explore it fully. An ancient Silk Road city, it is known as cosmopolitan; Turks, Kurds and Armenians mingle in its suqs, not just Arabs; its cuisine is famed within Syria. A great city is preparing for a showdown. May things end better than seems likely at the moment. 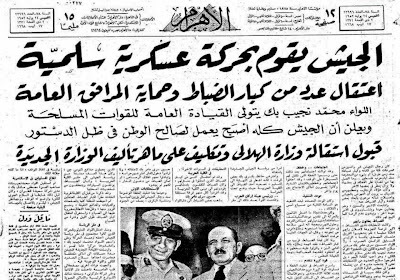 July 23 marked the 60th anniversary of Egypt's revolution of 1952, but July 26 is also memorable (Cairo has a major thoroughfare and a bridge that bear the name): it is the day just-abdicated King Farouq, and the six-month-old King Ahmad Fuad II in whose favor he had abdicated, sailed out of Alexandria for the last time. 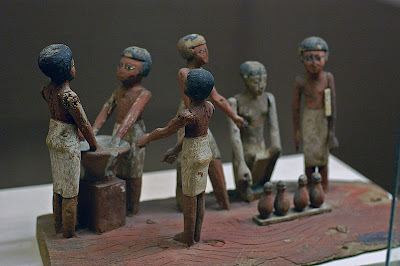 The infant King would reign nearly a year but with a regency council at home and the infant in exile, before Egypt was declared a republic in June 1953. Ahmad Fuad, now 60, today returns to Egypt occasionally for family funerals and such, as he poses no threat to the republic. At exactly six p.m. on July 26, 1952, the Royal Yacht Mahroussa,with Farouq, Queen Narriman, and the infant King Ahmad Fuad aboard, sailed from Alexandria to Italy. The Mahroussa, by the way, had seen other dramatic moments. Built in 1865 for Khedive Ismail, the Royal Yacht had been the first ship through the newly opened Suez Canal in 1869. Renamed the Horriya after the Revolution, she is still on the Egyptian naval list as a training vessel. She visited the US for the bicentennial celebrations in 1976, and is today in Alexandria. The first video is of the departure; the second consists of clips of Farouq's reign with the departure and the exile period at the end. Of course I've heard Hava Nagila played at Jewish weddings, but I've also heard it at Polish Catholic weddings and, well, anytime people are happy and want to dance. This article's almost two weeks old, from The Forward, but it addresses the question of "How 'Hava Nagila' Became a Global Hit." Better late than never. According to an article by music scholar James Loeffler on the song’s “long, strange trip,” “Hava Nagila” became an overnight hit among Jews of the Yishuv after it was played in a 1918 concert celebrating the defeat of the Ottoman Turks by British forces in World War I. It quickly became a staple of Zionist culture in pre-state Israel, and traveled across the ocean to enter the folk song repertoire of American Jewry. Referred to simply as a “Palestinian” or “Hebrew” folk song, it appeared in children’s songbooks and was recorded by cantors and folk music performers. By the 1940s it could be heard at almost every bar mitzvah and Jewish wedding. I'd like to know mode about that 1918 concert. The article deals with a film on the song, and maybe that would shed some light. Okay, now get it out of your head. And be happy. Ba-lev sameach! Michael Codner, RUSI's Director of the Military Sciences, wrote that a starting point for calculations of full scale intervention would be at least 300,000 troops. What? Has RUSI lost its mind? 300,000 Western troops in Syria? Holy [poop]! such an operation would be possible. Not exactly a rousing endorsement, is it? Note: "It is almost impossible to see the diplomatic and political circumstances under which such an operation would be possible." The Telegraph is one of Britain's better papers, a respected broadsheet, not one of its tabloids known for Page Three Girls, but this is a reminder that headlines and even the stories even in the quality press can be misleading. An "almost impossible" scenario made it into the headline. Codner is offering a worst-case scenario, and one it's clear he considers unlikely and undesirable. There's a well-known acronym in computing, RTFM, which stands for Read the [well, you know] Manual. A good rule of thumb for newspaper reports on think tank studies, would be Read the Original Report. On July 25, 1957, 55 years ago today, Habib Bourguiba abolished the Tunisian throne (a Kingdom succeeded the Beylicate on independence from France in 1956) and proclaimed a republic. The last monarch served for 13 years as Bey and just a bit over a year as King. Bourguiba ended the monarchy but then he ruled for another 30 years, and his successor ruled for 24, so the "republic" distinction may be academic. Though the last Bey and sole King (left), Muhammad VIII al-Amin, last of the Husseinid dynasty, had a nicer hat. 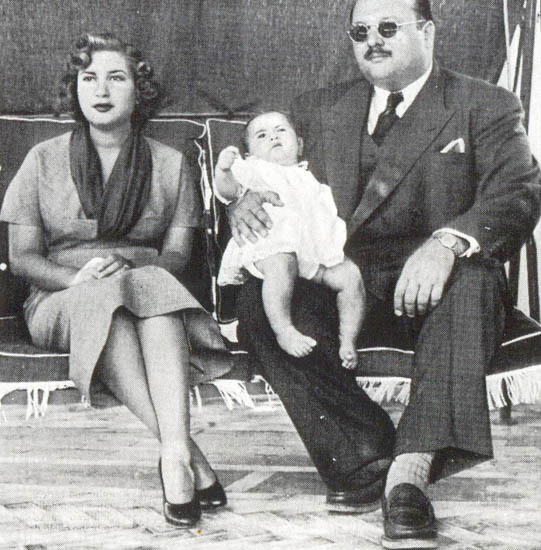 I posted previously about the Tunisian monarchy back during the revolution. As Syrian regime forces have pulled back from the Kurdish regions of northeast Syria along the borders with Turkey, local Kurds have broken out Kurdish flags — that of the Kurdish Regional Government in Iraq and that of the PKK, the radical movement of Turkish Kurds. Josh Landis' Syria Comment has a collection of articles, and this piece at Al-Monitor goes into some detail. Regional and ethnic interests are asserting themselves all over Syria, and Syrian Kurds have major grievances,including th fqct that for many years large numbers were denied Syrian nationality. But the presence of the PKK in the mix at a time when Turkey is, by default, the main external cheerleader and supply source for the rebels, really tosses fuel on the fire. A quasi-independent Kurdish state in northern Iraq has been tough enough for Turkey to swallow; a link between the KRG and Syrian Kurds raises the stakes considerably. The volatile mix of Israel, Iran, Hizbullah, the Gulf Arab States and Turkey in the Syrian mix was already alarming. Now there's a Kurdish element too. Simon Henderson at The Washington Institute is someone I frequently find myself disagreeeing with, but he does know the Gulf monarchies very well, and his new piece on the elevation of Prince Bandar to Chief of General Intelligence, "The Prince and the Revolution," is worthy of a read. He sees Bandar's appointment as an attempt to strengthen General Intelligence after the lackluster directorates of Princes Nawaf and Muqrin, in the era of Arab Spring and, particularly, the Syrian crisis. As I noted earlier today after the announcement was made, the new Egyptian Prime Minister-designate, Hisham Qandil, is something of an unknown quantity; Water and Irrigation Minister in the Sharaf and Ganzuri governments and a governnent technocrat up until then, he's not the superstar symbolic uniter some hoped for; rather, most people had never heard of him. Opinions are divided; many see his youth as a positive factor after years of elderly technocrats in the job; but a faceless technocrat? And some say he's an Islamist, though not a member of an organized party; President Morsi may have kept his word not to appoint a Muslim Brother to the Prime Ministry, but did he appoint a fellow traveler? Since many of those expressing an opinion know little about the man (and I know less), it may take some time to judge the choice, It was not, however, a dramatic stroke that unites the country in a difficult time. The headline at Egypt Independent's live blog, "Hesham Qandil Who?," seems best to capture the mood. On 15 July Kandil travelled with President Morsi to the African Union summit in Ethiopia. The trip sought to rekindle Cairo's relationship with its African neighbours after years of neglect under former president Hosni Mubarak. Improving Egypt's relationship with the Nile Basin countries is one of President Morsi's priorities, according to his presidential programme. Egypt's relations with the other Nile Basin countries is certainly an issue, but did Morsi's traveling to Ethiopia with him win him the Prime Ministry? Morsi became President 25 days ago, talking about what a US politician would call an intention to "hit the ground running." It took nearly a month to choose a Prime Minister, and the primary response so far has been, "Who?" 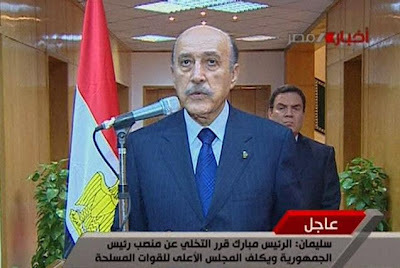 Perhaps he has not yet gotten his sea legs or, more likely, he finds himself caught between the generals of SCAF and the Guidance Council of he Muslim Brotherhood (his "resignation" from the Brotherhood on ascending to the Presidency is not, so far as I know, taken seriously by anyone at all). From the Hurriyet Daily News, "Ottoman Ramadan through Foreigners' Eyes," an interesting look at Ramadan before television serials. I hope to link to other such posts during Ramadan, offering some insight into the variety of celebrations over time and space. The Guardian reports on a major project that will contribute greatly to researchers pursuing the history of the Gulf: funded by Qatar, the British Library is digitizing some half million pages of India Office records, a treasure trove for reconstructing the Gulf from the mid-18th century onward. They also are digitizing some 25,000 Arabic manuscripts as part of the same project. I envy the next generation of historians the growing wealth of digital source material. For centuries historians have had to go where the archives were, but we may finally be about to transcend that. It's interesting that, in the article, an archivist (if quoted correctly by the newspaper) actually compares this immense undertaking to the accomplishment of J.G. Lorimer in compiling his great 5000=page Gazeteer of the Gulf, which I've discussed on this blog before. That may understate the goals of this huge project, but it does indicate an appreciation of the immensity of the contribution of John Gordon Lorimer to the history of the Gulf. The new Prime Minister of Egypt has a Ph.D. in irrigation and sewage. That may be a good thing; irrigation is vital if rather low-profile, and the PM is traditionally a fairly faceless technocrat. Usually not quite so faceless no one has heard of him, though. He was a member of the outgoing interim Cabinet as Irrigation and Water Resources Minister, and before that a bureaucrat in the Water Ministry. The appointment of Hisham Qandil after a wait of nearly a month comes as something of an anticlimax, however: the delay had led to reports, which may be true, that SCAF and/or the Muslim Brotherhood leadership had vetoed certain candidates with a national or international profile. He's the youngest Prime Minister in Egyptian history, they say, and is said to have never belonged to any political party, but is rumored to be close to the Muslim Brotherhood. Note that he has a beard, but not a heavy one, The MB says he's not a member. His CV, in Arabic, is here. He's US educated (North Carolina and Utah). Right now that's about all most Egyptians know. Few of them apparently ever heard of him either. More comment later perhaps. I continued to read the books brought to me by Usman Fawzi and I constantly demanded that there be a clear programme for the Brotherhood, defining its national objectives and its position and demands of the various social categories. In my arguments, I began to lean to the left and I became the odd man out in a group supposedly affiliated to the Muslim Brotherhood. In a final effort, Hasan El-Banna sought to link us with the Brotherhood via a strong bond. He decided that Nasser and I should join the Brotherhood's Secret Division. Perhaps it was because we were the most active and effective in our group and, consequently, winning us over completely would mean ultimately winning over the whole group. Or perhaps it was because we talked much about the nation and nationalism and therefore he believed that by having us join the Secret Division, which was concerned with weaponry and armed action, he would be satisfying our patriotic enthusiasm and ensuring closer ties with the Brotherhood. Anyway, we were contacted by Salah Khalifa, who took the two of us to a house in Darb Al-Ahmar toward Sayyida Zaynab. There we met Abd El-Rahman El-Sanadi, head of the Brotherhood's Secret Division at the time. We were taken into a totally darkened room where we heard a voice (I think it was that of Saleh Ashmawi) and, placing our hands on the Quran and a gun and repeating after the voice, we took an oath of obedience and total allegiance, for better or worse, to the Grandmaster, swearing by the Book of God and the Sunna (traditions) of the Prophet. Although these rites were meant to stir the emotions, they had very little impact on Nasser and myself. In any case, we began to work in the Secret Division and we were taken for training at a place near Helwan. Since we were officers, it was only natural that we were more knowledgeable about weapons than our training instructors. 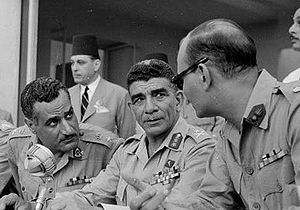 Nasser was not too happy with the situation and we felt alienated from the Brotherhood. It was 60 Years Ago Today ... What is the Legacy of July 23, 1952? This is the fourth July 23 since I started this blog and the second since the fall of Husni Mubarak, but because it is the 60th anniversary it has itself become something of a political football. This year, the Ahmad Maher Faction of the 6 April Youth Movement (whatever you think of the current bunch of revolutionaries, they know how to name their factions like real revolutionaries) has called on Egyptians to boycott celebrating July 23. 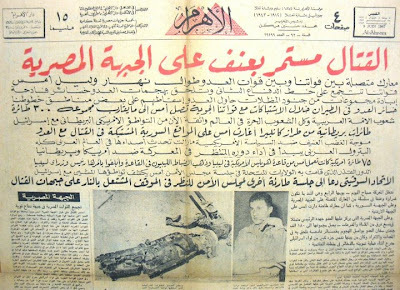 This has already provoked counterstrikes from supporters of the 1952 revolution: SCAF on its Facebook page called such comments "delusional," defended the military's role in 1952 and today, and "asserted the 1952 revolution wasn’t only for Egypt but for the whole African, Arab and Asian world." Meanwhile, a group of "Nasserists" in Qena governorate also defended 1952 and "asserted that military rule didn’t begin with Gamal Abdel Nasser but had always been a feature of Egyptian political life since the time of Ramses II." Ramses II? 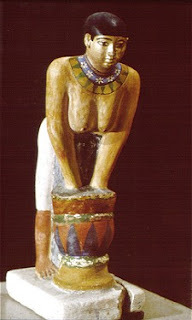 But then, remember: the two pillars of Pharaoh's power were his Army and the high priesthood. Is that so different from SCAF and the Muslim Brotherhood? Well, yes, probably. 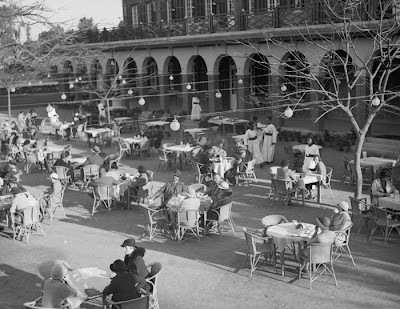 But no one can argue that the 1952 revolution has had a major impact across the Arab world, though that was not evident immediately. 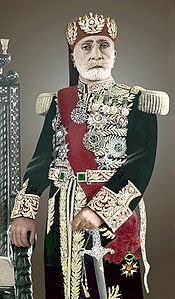 When the Free Officers first took over they forced the King to abdicate but didn't even proclaim a republic until the following year, so that infant King Ahmad Fuad II, though in exile with his father, was nominally reigning through a regency council. The coup was not the first military coup in the modern Arab world (Bakr Sidqi in Iraq and Husni Zaim in Syria had gotten there previously), and at first it named a civilian Prime Minister. 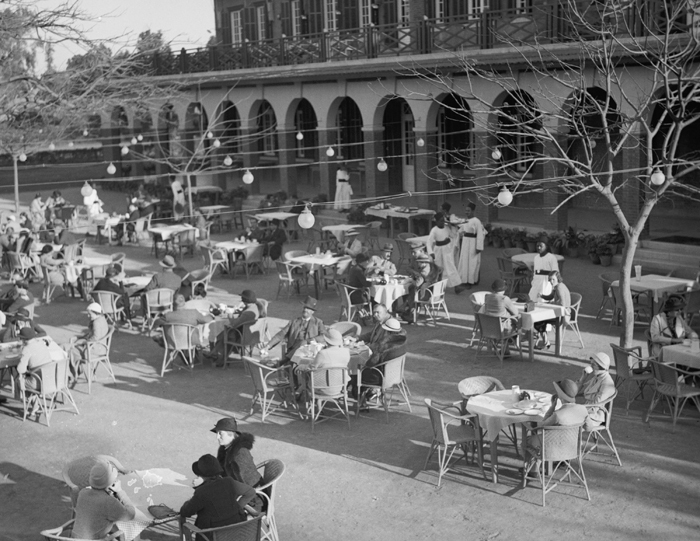 It as later, after Nasser supplanted Naguib and began social and economic reforms and nationalizations, that it began to look a bit more like a revolution. Nasser had enormous flaws, but no other Arab leader has enjoyed the prestige he did across the rest of the Arab world. We've talked a lot about Nasser and Naguib in this blog, and I refer you to the archives rather than repeat myself. For two generations July 23 has been Egypt's national day.Already January 25 is a contender for the title. Like so much else in this turbulent era, it will take some time for this generation of revolutionaries (Islamist as well as secular) to come to terms with that earlier "revolution" six decades ago today. Syria's opposition rebels, like most Sunni Muslims in the Arab world, took their moon sighting from Saudi Arabia and started Ramadan last Friday. The Asad regime, however, and the official state religious establishment, followed the lead of Iran and declared Saturday the first day of Ramadan. There are usually a few countries that disagree on the exact start date, but usually one authority decides for the whole country, and rarely is the difference a microcosm of Middle Eastern geopolitics. 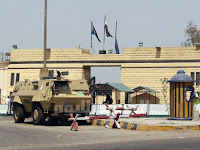 Suleiman's body arrived at Cairo airport on Saturday morning amid tight security and emotional scenes as dozens of supporters of the ex-spy chief flocked to Egypt's main air transport hub. Wearing black t-shirts emblazoned with the Egyptian flag, they chanted prayers for Suleiman and slogans against Israel and the United States. Suleiman may have held a lot of secrets, but his close working relationships with the intelligence and security services of both the US and Israel were not among them: they were well known. His supporters seem to be missing something here. Even the conspiracy theorists who think his death at the Cleveland Clinic means the US did him in might have trouble explaining why they're chanting against the two countries that will miss Suleiman the most. Having posted a Ramadan greeting with a graphic in Arabic yesterday, and given our frequent postings over the past year and a half about the revival of Amazigh ("Berber") consciousness and the Tamazight languages throughout North Africa, it seems appropriate to send you off for this first weekend in Ramadan with greetings in Tamazight, written in the ancient Tifinagh script, via Libyan Amazigh: Ramadan Ameggaz. 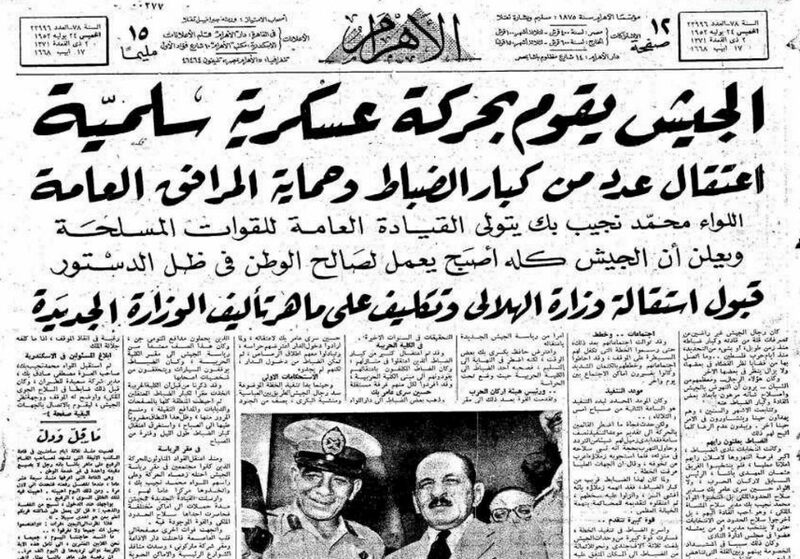 I'm two days late with this, but July 18 marked the 40th anniversary of Anwar Sadat's expulsion of Soviet advisers from Egypt in July of 1972. In my musings last month on my own 40th anniversary of arriving in the Middle East for the first time, I noted that Soviet and East Bloc advisers were still very much on evidence when I got there. They remained so up to the 1973 war, but the expulsion of the military "advisers" (many of were actually flying aircraft, manning SAM sites, etc., though that was not acknowledged) in the summer of 1972, was memorable, however. I was living in an apartment along the Nile, and as we looked out from our balcony one day after we'd been there a month or so, we watched waves of big Antonov transports flying eastward over the city. In retrospect they were probably flying our of Cairo West and other bases to the west of the city, heading back to the USSR. At the time we feared it was a major buildup moving troops to the Suez Canal. Either later that day or the next day, all was explained when it was announced that the Soviet advisers (some 20,000 of them) had been kicked out. Al-Arabiya (link is in Arabic) quotes a Saudi newspaper (Okaz) as saying that the Commission for the Promotion of Virtue and the Prevention of Vice (aka the religious police) were "surprised" when, while raiding a "den of sorcery" in the holy city of Medina (really), they found a "naked sorceress" who surprised them by flying. Not fleeing, flying. She later fell from the ceiling and was arrested. For good measure, it notes she was African. I think I've got that right; my Arabic vocabulary is a tad light in the witchcraft and sorcery department. Why wasn't this on CNN? A Daily News Egypt article introduces "The One Real Chinese Restaurant in Cairo," one that is run by and for ethnic Uyghurs from China studying at Al-Azhar. On a serious note, a piece in Ahram Online about land theft and bulldozing that has invaded the ruins of old Fustat on the edge of Cairo, Egypt's earliest Islamic capital. 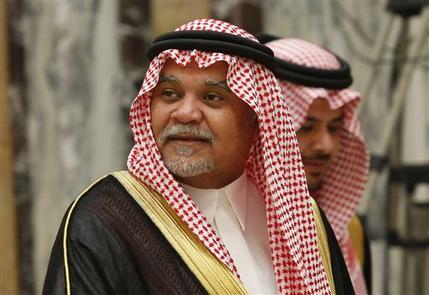 Prince Bandar bin Sultan, the once high-profile Saudi Ambassador to the US, has been named head of Saudi Intelligence, replacing Prince Muqrin. Bandar served as Ambassador to the US for an astounding 22 years, from 1983 to 2005. At the end of that tenure he was named head of the Saudi National Security Council, a post he will continue to hold along with that of Chief of General Intelligence. Bandar, though head of the National Security Council, had dropped from sight for several years, leading to speculation about his health, physical or political. He returned to visibility in 2010. The appointment of the (once) high-profile Bandar suggests, as many are already saying, a recognition that the changes of Arab Spring and, particularly, the Syrian situation and the Iranian thrdeat represent a dynamically altered Middle East and necessitate a greater Saudi proactive policy. 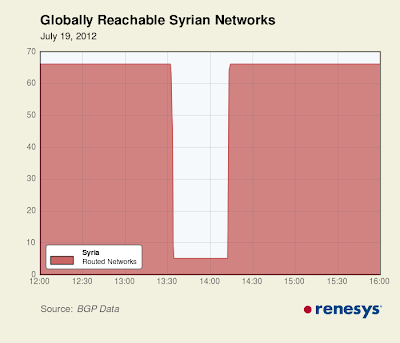 Syria shut down the Internet for some 40 minutes yesterday, presumably for security reasons; graphic evidence below, and more technical details here. The dropout of service is reminiscent of a couple of incidents last year: a partial shutdown in Syria and the notorious night Egypt shut down the Internet. 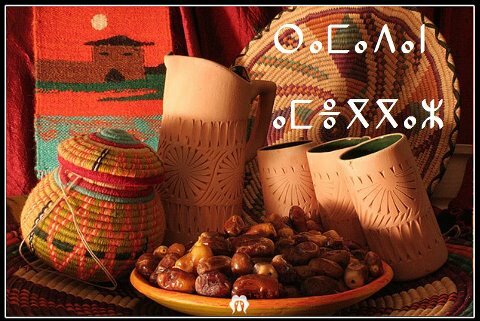 Tomorrow is the first day of Ramadan, AH 1433, which means the fast begins at sundown tonight. Ramadan blessings and greetings to all my Muslim readers. As in previous years, I will post on various Ramadan traditions during the coming month. Today's death of ‘Omar Suleiman, the Egyptian intelligence chief and, briefly., Vice President, has created something of a protocol quandary. He was, after all, Vice President of the country, in fact the only Vice President it has had since Husni Mubarak ascended to the Presidency. He also heald the rank of Major General in the Armed Forces, so he is of course being accorded a military funeral (tomorrow) and, unsurprisingly, Field Marshal Tantawi will attend. 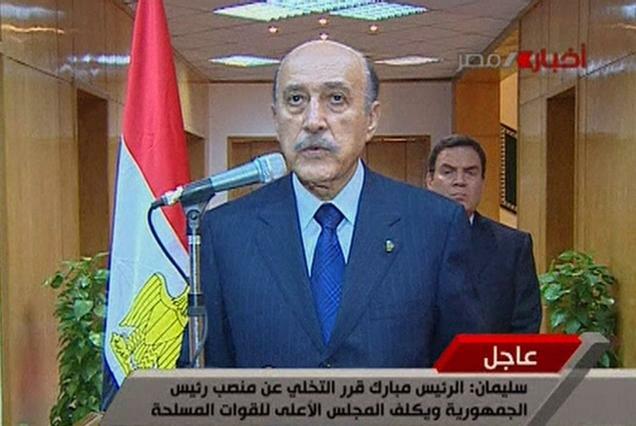 Early indications are, no: someone from the Presidential office will represent Morsi at the funeral. This could change, but it is the sort of awkward problem likely to crop up during Egypt's transition. When Mubarak dies, the fact that he was convicted of a crime and imprisoned might mean a low-key funeral. But Suleiman is an ex-Vice President, with no convictions, though there was speculation he might have left Egypt to live in the Gulfs when he left the country after Morsi's election. And of course the conspiracy theorists are out in force, as is to be expected for a man with a spooky background like Suleiman's. Either the US did him in (after all, this week's conspiracy, as Hillary Clinton learned, is that the US is promoting the Muslim Brotherhood), or he actually died in the bombing in Damascus! Everyone had their obituaries for Husni Mubarak written a month ago when he was reported to be clinically dead. He recovered, but the man who served him in so many ways and in the end became his Vice President and then, in a final service, announced Mubarak was stepping down, ‘Omar Suleiman has died in a US hospital. Just this spring, he had sought to run for President, but was disqualified for insufficient petition signatures. If had run and won, Egypt would have a different sort of constitutional crisis. More recently, after Muhammad Morsi won the Presidency, he left the country. There were Egyptian reports that he had asked for asylum in the UAE; he denied these. We now learn he was in the US, apparently at the Cleveland Clinic, for medical tests, and died unexpectedly. The obits will no doubt tell all the usual stories, how Mubarak credited him with saving his life in Addis Ababa during an assassination attempt and trusted him thereafter as he trusted no one else; how he gradually emerged from the shadows (for years, his photo never appeared, and his name rarely, in the newspapers) to become Egypt's first Vice President in 30 years, and in that iconic scene shown above, announced — seemingly unwillingly and with "the man behind ‘Omar Suleiman" looking sternly from over his shoulder, that Mubarak had "decided" to step down. 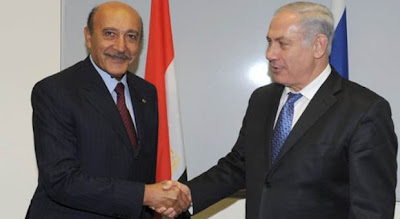 They will mention that he was Egypt's liaison with Israel and the Palestinian Authority, and they will mention the allegations of his role in renditions. But they will not tell all the stories, because none of us know all the stories. Whatever else ‘Omar Suleiman was, he was a professional intelligence man, and like any such, many of his successes were never announced. Because he moved in that shadowy realm where Western intelligence agencies, Arab intelligence agencies, the Palestinian security services and Mossad all collaborate and deny they are doing so, we will probably never know the best stories. I met him once, at a background briefing in DC. He said what you would expect him to say. He gave nothing away. I got little sense of the man himself. You weren't supposed to. 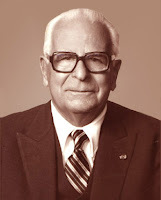 Though he held the rank of Major General and had served as head of Egypt's Military Intelligence before heading its General Intelligence Service (one of only a few men to head both the military and civilian intelligence bodies), he dressed in civilian clothes as head of General Intelligence. His role as Vice President and the man who announced Mubarak's departure was his most visible role, but compared to running Egyptian intelligence for a decade and a half, that was a fleeting fame. His career was not aimed at fame, but was lived in the shadows. Perhaps both the best and worst assessments we can give are the same: he was first and last a man of the mukhabarat, and he appears to have been good at it. The first four are confirmed dead today [update: not so clear about the Interior Minister] and the fifth is wounded. I'm not sure about number six, who's a Baath Party official. Reuters has a profile of Maher al-Asad, younger brother of Bashar, head of the Republican Guard, and a man portrayed as the most brutal of the Asads. The death of brother-in-law ‘Assaf Shawkat today narrows the Asad inner clique even more as the family circles the wagons. Egyptian President Muhammad Morsi took office June 30. It's July 17. He has yet to name a Prime Minister, so the interim Cabinet of Prime Minister Kamal Ganzuri continues in place. Nor has he named any Vice Presidents, which he's now required to do under the Constitutional Declaration (to avoid the Mubarak tactic of never naming a VP); yet he has promised a Copt and a woman will be among his Vice Presidents. The lack of a Prime Minister also means the lack of a new Cabinet, so the old Cabinet limps on, and International Cooperation Minister Fayza Abu'l-Naga, herself a Mubarak-era holdover, is now indicating that may continue for a while. Not that there hasn't been endless speculation and lots of rumors. Many prominent names are said to have been considered, or to have turned it down. 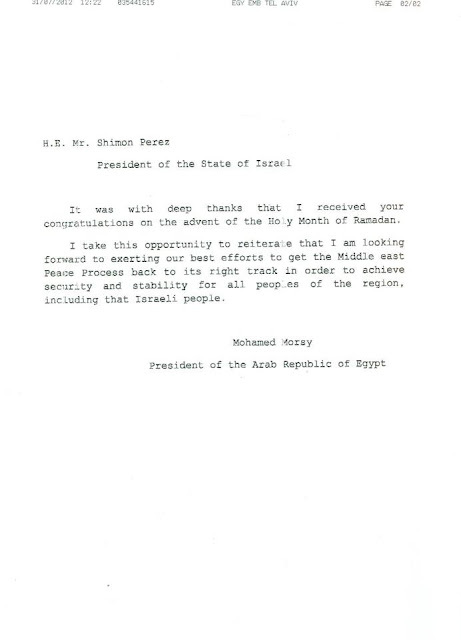 Morsi was going to name the PM on his return from Saudi Arabia, or his return from the African Summit in Ethiopia. Those came and went. Then everyone was sure he was going to name the Prime Minister yesterday. He didn't. For a Presidency that started out with a bang, with the crisis over Parliament, it has become a singularly inactive one. Admittedly there are still a lot of constitutional cases before the courts (several were postponed again yesterday by the Administrative Court), but none seem to impose impediments to naming a Prime Minister. It's being reported that the PM will be an economist. Given the fact that the Prime Minister's job is essentially to be Chief Technocrat, this is no news: almost all of Mubarak's Prime Ministers were economists. No big change apparent there, if the next one is as well. Giving him the power to fix the economy, on the other hand, could be significant. Perhaps Morsi is waiting for a slow news day. It could be a while yet. The conflict in Syria is escalating, and today's suicide bombing that killed Syria's key security leadership marks the revolutionaries' greatest blow to the regime yet. By killing Defense Minister Daoud Rajha, Interior Minister Minister Muhammad Ibrahim al-Shaar, Deputy Defense Minister ‘Assaf Shawkat (former security chief and husband of President Asad's sister Bushra), former Defense Minister (now Deputy Vice President) Hasan Turkmani, and others, the bombing nearly decapitates the security sector; by apparently demonstrating the ability to penetrate the actual crisis management headquarters managing the fight against the rebels, the rebels also show a new level of capability. With the death of Shawkat, the rebels have also struck at the Asad family itself. It's probably unwise to proclaim this is the endgame just yet, since deeply rooted security states like Syria are hard to decapitate, new hydra heads growing as older ones are removed, but this is a body blow to the regime. Among sites following developments live are Al Jazeera English's live blog; EA Worldview, The Guardian, and of course the #Syria hashtag on Twitter. Reports that the regime is issuing gas masks to its forces, if true, raise the specter that a desperate regime might resort to chemical warfare against its own people. Can we stop debating whether or not it's a civil war now? Ramadan starts Friday, and with it comes the much anticipated Ramadan TV season for this year. Historically the Muslim month of fasting is a time for families reading the Qur'an, one-thirtieth per night for a month, and holding family gatherings after iftar, the moment of breaking the fast after sunset. Fotr the past thirty years or so, it has also been a time for watching soap operas that run nightly for a month, or musical extravaganzas known as fawazir Ramadan or Ramadan puzzles, because they include riddles for the audience to solve. Each year, the Ramadan offerings are a matter of anticipation. Egyptian and Lebanese production companies produce most of them, but Syrian soap operas hit it big a few years ago, and Turkish soap operas in translation are also popular. Since many of the soap operas focus on sexual or other taboo themes to ensure ratings (though others have pious religious themes), and many of the musicals involve singing, dancing, and scanty clothing, many Islamists do not consider them appropriate Ramadan fare. Some social scientists have dubbed the fawazir and soap operas the "Christmas-ization" of Ramadan. 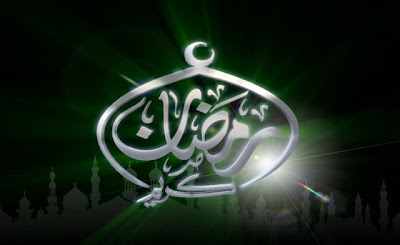 And of course, it wouldn't be Ramadan without controversy over at least one show, and celebrity gossip about the stars. "I swear to God that I disown and distance myself from MBC's work, especially Umar Al Farooq.I will do my best to stop this series.Qatar must accept God's will otherwise, we will go to court," he told Saudi newspapers. God's will or the lawyers. A Cinderella-like tale, Haifa initially plays a poor woman who earns a living on the streets by dancing for passersby. Her character’s fortune changes, however, after an encounter with a wealthy man who falls deeply in love and seeks her hand in marriage. At some stage during the show, Daher told The Daily Star, Haifa’s character is thrown in jail on false charges fabricated by members of her lover’s family. Haifa Wehbe (left), who tends to be known, in addition to her singing, for her frequent display of her generous cleavage, certainly seems ideally suited to the role of a poor Cinderella type. But she ably provides the celebrity gossip quotient for this year's Ramadan series run-up. A month or so after that strange week when Egypt's Schrödinger's ex-President Husni Mubarak was reported by the State News Agency MENA to be clinically dead, but then he got much, much better, he was transported back to Tura Prison yesterday because, well, he's not dead anymore and he's supposed to be serving a life sentence, not receiving excellent treatment in an elite military hospital. The nostalgia website Antika has a slideshow of Al-Ahram from the June 1967 War that may interest those who read Arabic. It's the season for analysis of the results of the Libyan elections. At Foreign Policy, Sean Kane offers "Building on Libya's Electoral Success": and at Al-Monitor, Mustafa Fetouri discusses "Why the Islamists Lost in Libya." 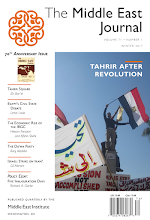 And closer to home, the Middle East Institute asks "Is Libya Really on the Path to Democracy? ", with Christopher Blanchard and Daniel Serwer, who were election monitors, and analyst Karim Mezran, in a panel discussion on Libya moderated by Ambassador David Mack, who is a frequent commenter on this blog. It's this Thursday; details and registration info here; if you're in the DC area (or have your LearJet fueled up), come on by. During Secretary of State Clinton's visit to Egypt over the weekend, there were some curious elements: demonstrations against her both outside the US Embassy and outside her hotel, protesting US interference in Egyptian domestic affairs and US manipulation of Egyptian politics. And, to add to the unusual responses, key Christian representatives, including representatives of the Coptic Church, the Maspero Youth movement, and the Evangelical Church, all declined invitations to meet with her. These protests are spurred by an impression that the United States has supported the rise of the Muslim Brotherhood and Muhammad Morsi. 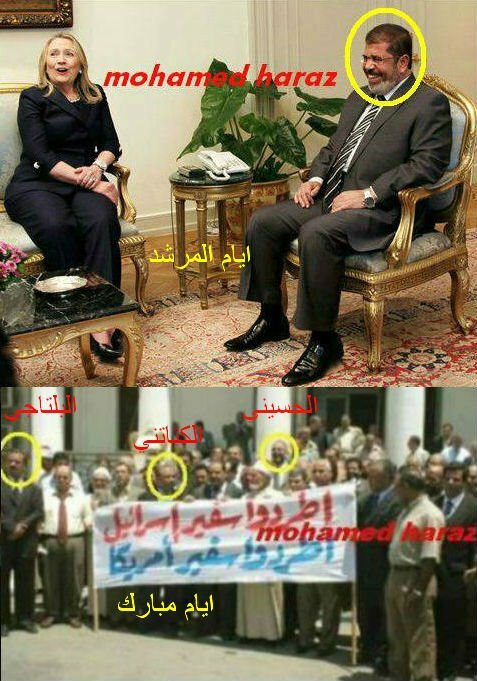 Adding to the effect was the presence of Muslim Brotherhood members helping protect the US Embassy,while a photo circulated on the Internet showing Morsi with Clinton and an earlier photo showing Morsi and other Brotherhood leaders with a sign demanding the US and Israeli Ambassadors be kicked out. And then today there are reports that Field Marshal Tantawi assured Clinton that the military will not allow "one group," presumably meaning the Brotherhood, to take over Egypt, though many Egyptians seem to think that that has been the goal of US policy. What is going on here? Well, there is a genuine feeling in Egypt that the US, with its huge aid package and its influence, is calling the shots behind the scenes. And clearly, the Muslim Btotherhood has been in ascendancy lately, with a plurality in the now disbanded Parliament and Morsi in the Presidential :Palace. Therefore, that must be what the US wanted. Now, while I realize there are critics on the political right in this country who also blame US policy (or just "Obama") for the rise of the Muslim Brotherhood, it certainly isn't a perception shared in the general policy community. A support for democratization does not equal support for the Brotherhood, and there is a generally positive response to the success of secular liberals over Islamists in the Libyan elections. It's easy to dismiss this as just more conspiracy theorizing; it is that, but it's also an indication of the degree to which the US is perceived as the manipulator behind the scenes in Egypt, and there are many who perceive developments they do not like or understand as the product of a hidden hand. When Egyptians blame "mysterious forces" and "foreign elements" for political developments or just about anything else, they usually mean the US and Israel, which are assumed to act in concert when it comes to Egypt. If you or I protest that the US and Israel are not purusing the same policies towards Arab change, or object that we are not in fact promoting the rise of the Muslim Brotherhood, it merely confirms that we, too, are part of the plot. With popular opinion now actually playing a role in choosing the leadership through elections, this long-present but previously neutralized factor will be a challenge (and hardly the only one) for the US in dealing with the new Egypt. The alienation of the Christian community is, however, unfortunate, since Copts have often looked to the Coptic diaspora abroad as their strategic reserve in defending their rights at home. Morsi's pledge to name a Coptic Vice President is encouraging, but only slightly offsets their worries about the overall growth of Islamist influence in society. That they, too, think the US favors the Brotherhood is most unfortunate. But the whole incident is a reminder that however much Egypt remains unchanged (SCAF), there have been real and genuine changes, and they will make US-Egyptian relations a much more complex affair than it has been for the past three decades. A Subtle Saudi Message About Morsi and the MB? I already commented on the questionable timing and choice of destination of Egyptian President Muhammad Morsi's first trip abroad, since the visit to Saudi Arabia might fuel complaints that the Muslim Brotherhood is under Saudi influence. 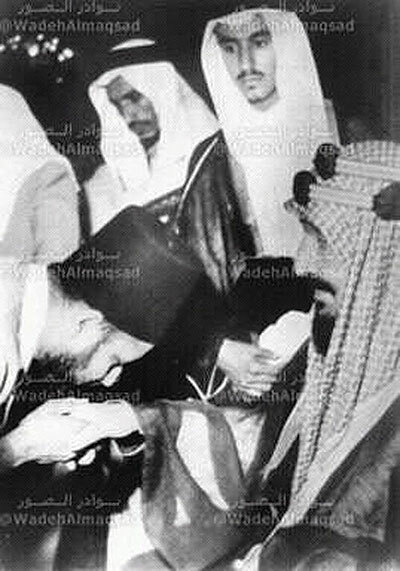 Why yes, that (the man in the fez) is the late Hasan al-Banna, Egyptian founder of the Muslim Brotherhood, bowing and kissing the hand of King ‘Abd al-‘Aziz Al Sa‘ud, the man called "Ibn Saud" in the West, the founder of Saudi Arabia and father of all Saudi Kings down to the present time, including King ‘Abdullah, who has welcomed President Morsi, follower of Banna, to Egypt. No subtle messages there? Or perhaps not so subtle? There's a huge literature on the Muslim Brotherhood, but the emergence of Egypt's hardlining Salafi movement has been more of a surprise, with the rise of the Nour Party catching many people off guard. The rise of political Salafism has reshaped the Egyptian political scene. Though the Muslim Brotherhood still occupies the dominant position, it has lost its hegemony over Islamist politics. The relationship between Salafis and the Brotherhood has evolved since the revolution, from discrete cooperation to fierce competition. The final outcome of this competition remains uncertain. It could end up pushing the Salafis to a more intransigent stance intended to distinguish them from the “responsible” and “pragmatic” Brotherhood. Alternatively, it could convince the Salafis to fully embrace a more pragmatic politics themselves. This question is also closely related to that of the relationship between the Nour Party and its parent movement, the Salafi Da’wa. To what extent will the party manage to assert its political independence? Information page at the link above. Direct links to the PDF report in English here; or in Arabic here. And it goes on. Yet hard as it is to believe, the Wikipedia article doesn't even mention Timothy Wobble-Cap! When you need detail about, well, just about anything relating to the Church of Alexandria, the Coptic language, Coptic art, or, well, anything Coptic, it's time to turn to the Claremont Coptic Encyclopedia, an online resource of value to anyone (including Muslims) interested in Egypt. And given the fact that this summer we are witnessing the election of a new Coptic Pope to succeed the late Pope Shenouda, there will be plenty of reporters, religion columnists, and such looking for a quick source of information on the Church of Egypt. Click the link above. His role as an interpreter of the Copts was appreciated. Once in the 1970s I was on a bus trip of American Research Center in Egypt (ARCE) fellows to the ancient monasteries of the Wadi Natrun. When the bus arrived a monk informed us that it was Great Lent and no visitors were allowed. Then he saw that Professor Atiya was our guide. Problem solved. Those Were The Days . 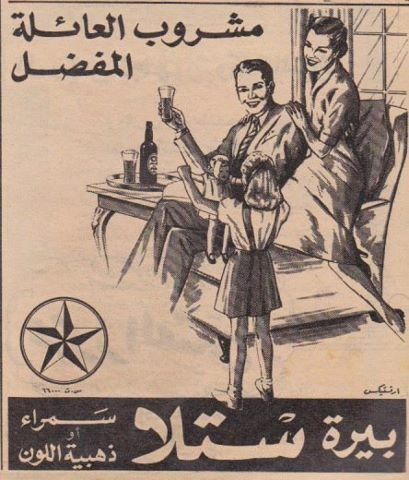 . . Egyptian Stella Beer as a "Family Drink"
Before the Salafis in Egypt: "The Preferred Drink of the Family: Stella Beer." Of course, the Salafis wouldn't approve of the outfits, either. Some time back I posted a clip of Gamal Abdel Nasser talking about his meeting with the Supreme Guide of the Muslim Brotherhood back in the 1950s (before he crushed the Brotherhood), but at the time couldn't find one with subtitles, so it was a loss for those without Arabic. Here's one with subtitles, still worth watching if only to see how well Nasser could lead an audience. Let's see Mr.Morsi do this. 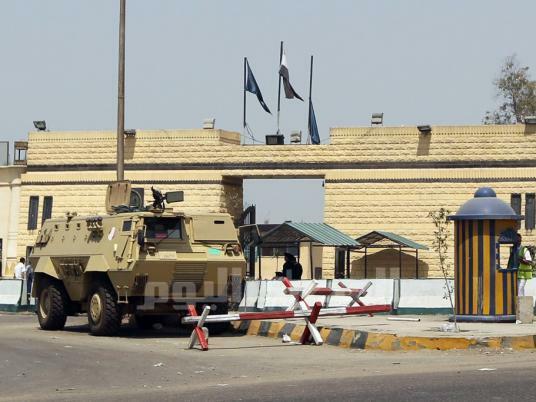 Morsi in Saudi Arabia: Wrong Trip, Wrong Timing? Egyptian President Muhammad Morsi has left for Saudi Arabia on his first foreign visit since his inauguration. He leaves right in the middle of a constitutional crisis largely of his own making, and may be sending the wrong message at the wrong time. On paper, the visit makes sense: Morsi wants to re-forge fraying ties with Riyadh and rebuild a onetime alliance with the Saudis; he also wants to reassure the Saudis about Iran's gestures of friendship to Egypt now that the Muslim Brotherhood has the Presidency. But the Brotherhood's opponents in Egypt (and remember, Morsi got barely a quarter of the votes in the first round) suspect him of aiming to turn Egypt into something along the lines of the Saudi model, and others believe Saudi funding helped elect Morsi. (Officially, the Saudis have problems with the MB, though it isn't the sort of open propaganda campaign waged by the UAE against the Egyptian Brotherhood. But many private Saudis support the Brotherhood.) Leaving in the middle of a confrontation with the judiciary (and indirectly, SCAF) adds to the sense that Morsi is going to ask for seek support from his Saudi patrons at a difficult time. Going anywhere in the midst of a crisis is a questionable call. Eleven days after taking office there is still no Prime Minister and not a single cabinet member named, except for the assurance (not really Morsi's call) that Field Marshal Tantawi will remain Defense Minister. The interim Cabinet of Prime Minister Ganzuri is presumably on its way out, the country is in a crisis, and the President is in Saudi Arabia. I'd say it's the wrong trip, and any trip at this time is shows questionable judgment. His opponents — who may sense weakness right now — are unlikely to miss that. We no longer have a bumpy airplane ride. Instead we have a train wreck in slow motion. Well, actually, forget slow motion. That's Nathan Brown on the legal mess in Egypt, in "Train Wreck Along the Nile." I'm not going to claim he clears everything up, but he does provide a sort of guide to the various legal claims the parties to the dispute are making. Since this constitutional-crisis-without-a-constitution appears to be turning into a full employment program for Egyptian lawyers for months to come, Nathan's knowledge of legal and constitutional issues makes him a good guide. Tomorrow is the Fourth of July . . .